You may not know it, but there are *new* rules of money. New rules that are changing how millennials are doing things. These rules can make us millionaires or keep us poor. Now more then ever, it’s important for us to get our finances on track. For ourselves and for our families. It’s time to create your family legacy. And trust me, it’s doesn’t have to be complicated. Sometimes the mountain looks bigger then it actually is, and the view from the top is way different. Instead of digging a debt hole, wouldn’t it be nice to afford a worry free retirement, that perfect wedding dress for your daughter, or family vacations to Disney world. Think about it. A debt-free life. Freedom. What would you do? Would you sleep better at night? Maybe your family could finally afford that Disney vacation. Think about…. think about it… now hold on to that thought. Something fun is going on in our household. We are going back to the basics. You know, cash, living below our means, the “b” word…. budgeting. I have this push-pull relationship with saving and spending money. Apparently, I am not alone. According to CNBC, 78% of full-time workers live paycheck to paycheck! How crazy is that? The majority of the country is living paycheck to paycheck! We have had two incomes and then we have had one income. We went from spending like there’s no tomorrow, to having to budget…. for tomorrow. This proved to be true in many things. Make more money, move out of that 700 square foot apartment, into a 1000 square foot apartment. Trade up the Arbor Mist, for Barefoot, then eventually a wine club membership. What have you traded-up on? With consumerism and trading up, no wonder we as a society our perpetually “poor.” It’s time to break the cycle with the new rules of money. It’s hard to be content when your worried about feeding your family or being able to afford school supplies. However, this is not uncommon for most Americans. In fact it’s pretty normal. We don’t save, much. As women, wives, and moms, this is not how we want to live. We want to live like a Hallmark movie, be a Disney mom, create a happy, secure home for our families. Admittedly, in the quest to fulfill our mission, we can get buried in debt, strain our marriage, and our children become the unintentional beneficiary’s of these struggles and burdens. Living paycheck to paycheck is surviving. We don’t want to be surviving. We want to be thriving. There a few simple rules that can change your family tree. If nothing else from these new rules, please take away this. Don’t be complacent with finances. Being complacent with a mound of debt, no savings, or an emergency away from a financial ruin can never lead to being content. In fact, these financial stressors trickle over to our health, our marriage and our family. It’s a looming cloud that makes you feel like you can’t get out from under it. A quick spend, despite a thrill and burst of happiness, is not worth the long term affects of carrying that debt burden. Practice scarcity to reset your spending habits. When we have credit cards and full pantry’s it’s easy to spend more than we have and buy more then we need. Practicing scarcity is in exercise in using what you have and making due with limited resources. The best way to practice scarcity: USE CASH and have EVERY DOLLAR allocated to what it’s purpose is. If you don’t no where you are going, any road will take you there. 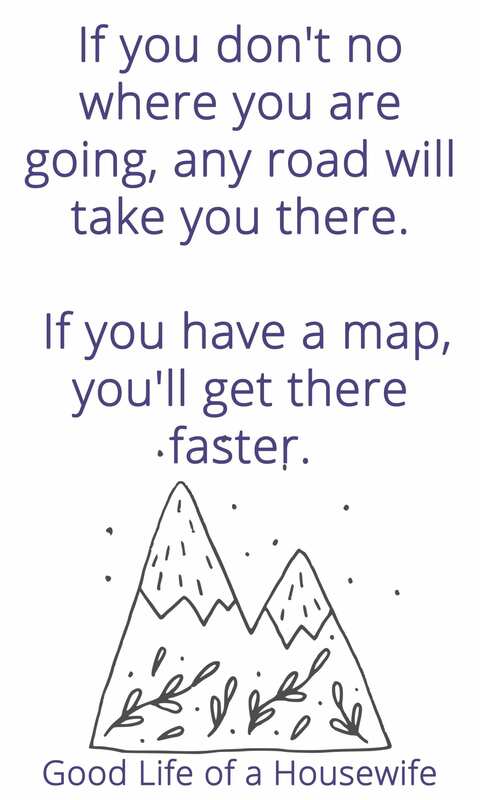 If you have a map, you’ll get there faster. A budget is a map. Cash is your vehicle, and your dollars are the gas. Don’t blow cash on joyrides, when it can be save for road trips. Getting Started: If you need help with budgeting or just want a wake up call, check out Dave Ramsey’s Total Money Makeover. It’s a super easy read. There’s a reason it’s a Best Seller and has over 6,000 reviews. Debt is public enemy number one. Specifically, consumer debt. Our fantasy life has a way of getting us to pull out those credit cards. 2019 means it’s time to go to war on our debt. Cut subscriptions, meal plan, buy off-brand products, get creative, practice scarcity and get debt paid off for good. Look at how much a credit card can cost you versus investing over 5 years. Really soak this in. Okay, so this really isn’t a new rule. It’s probably one of the oldest rules in the book. It’s so cliche that its power and importance has really fallen to the wayside. Spending less then you make means your not digging a bottomless hole. You can’t get out of a hole if you’re digging it deeper. The theme? Practice scarcity, budget, and use cash. With credit cards you are given the option to spend more then make. With cash, when it’s gone, it’s gone. If you’re at the checkout counter and your bill comes to $100.98 but you only budgeted $100.00 then you have to put something back. And you know what, it’s nothing to be embarrassed about. It’s quite the opposite. It’s empowering to know you are in COMPLETE control of your money. 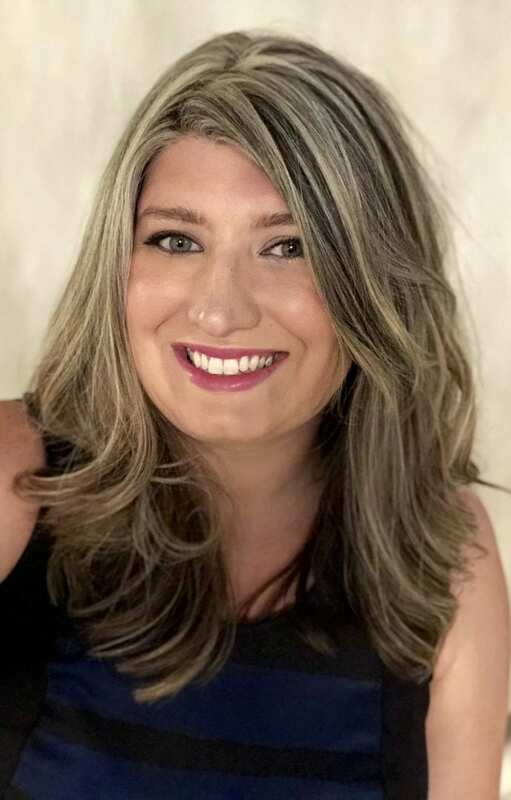 Getting Started: Use free money saving apps like Ibotta and Ebates to save you money on items you are already buying, like groceries and birthday presents. I don’t know if you know this, but there is a movement sweeping the nation and the millennial generation. It’s minimalism and it’s inspiring people everywhere to ditch their stuff and live intentionally. I would also argue it’s one of the side affects of growing up during the Great Recession. 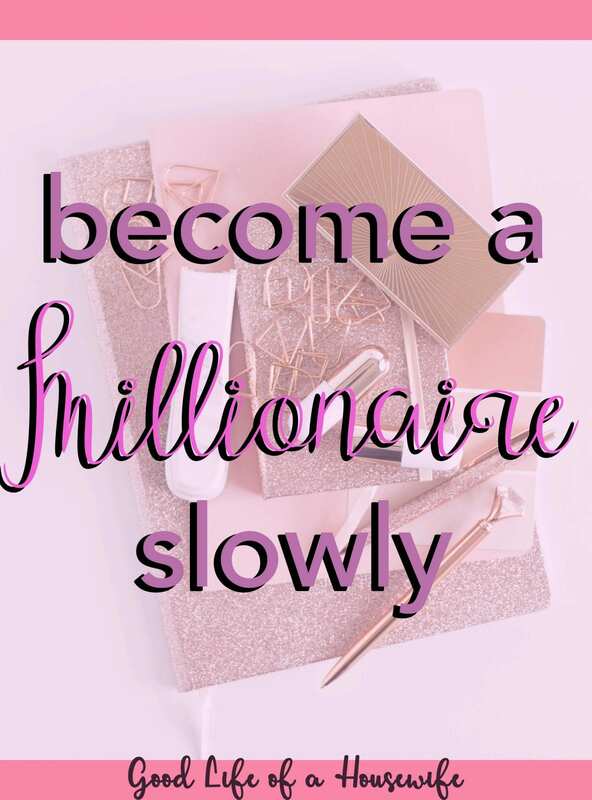 I talk more about it on my journey to becoming a Stay at Home Mom and living on one income. The movement isn’t so much about doing without, but surrounding yourself with stuff you love and use. Let’s be honest, the best way to save money, is not spend it in the first place. There can be such a taboo around investing. Now I am not offering you specific advice, as I am not a financial expert, and you should always consult with your own account and/or financial advisor for your own unique situation. But why is compound growth not pounded into our heads at school? Don’t you think it would be good information? Investing is for long-term. With $100.00 a month at 7% over 50 years, it comes out to about $487,000. If you get 12% over 50 years, you will end up with 2.8 million! Getting Started: Check out this super easy investment calculator to see how money grows. Another “new rule of money,” put your money to work. There are obvious expenses we all have to incur, feeding, shelter, clothing. Living expenses are a given but cutting them and reducing them means more money for other things. Like putting your money to work for you. Think of this. You’re out for a walk and as you’re strolling along you come up to a special machine. This machine has magical powers. For every dollar you put in, you get $1.25 back. Every time it spit that $1.25 out, you’d be putting a dollar back in. Over and over. This is putting your money to work. 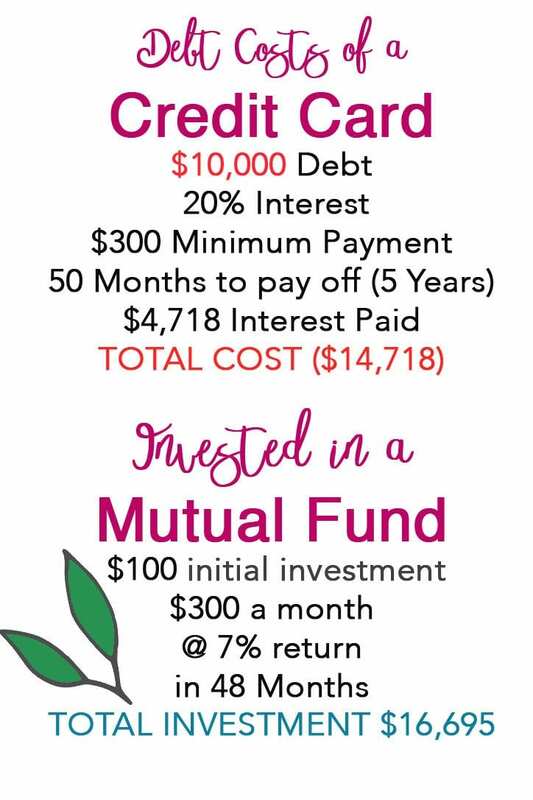 If Mary makes $1000.00 take home a month instead of spending $1000.00 (or more because of debt), she spends $900.00 and invests $100.00, she would be in a much better off place longterm. Remember from before: $100.00 dollars with a 7% return for 50 years is almost a half of million dollars. Even with inflation, it’s still better then being in the 78% of full time workers living paycheck to paycheck. Getting Started: The easiest ways I found to cut money fast was eating out and groceries. Check out 49 Ways to Save Money on Groceries & Food to get started. Do you remember your grandma ever telling you about Home Ecs. class? It’s the lost art of maintaining and keeping a home. Mastering home economics comes with some crazy money saving benefits. Outside of the mortgage, food expenses are usually the second largest expense a family faces. 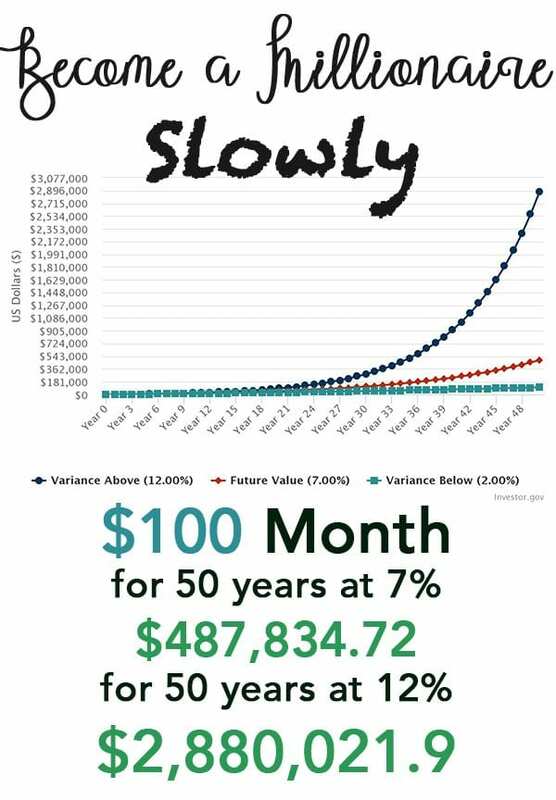 Remember in the previous example where we saved $100.00 at month and over 50 years at (12% return) it became over 2 million dollars? What if with a little meal planning we could shave $100 – $300 a month off the budget and invest it to work for us? 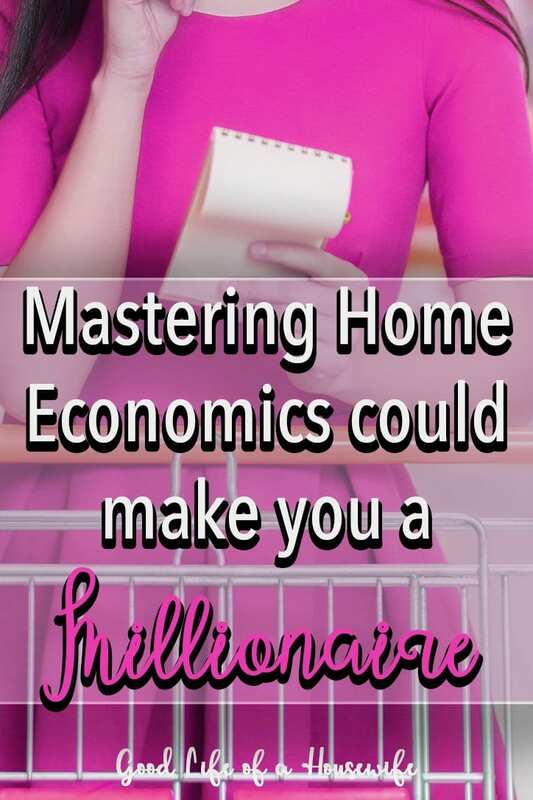 Then a little home economics could help make us millionaires. Even if you’re in your 30’s like me and put away $300 a month, at 10% for 30 years you could end up with over a half a million. That’s still pretty good. If you continue to get that same return, 10% then at 66, you have made over a million dollars. Not bad at all. I am sharing this because I don’t think as wives, homemakers, and income earners that there is a common knowledge on how we can contribute to our family’s legacy. And like I said before, it’s not as hard as you think. 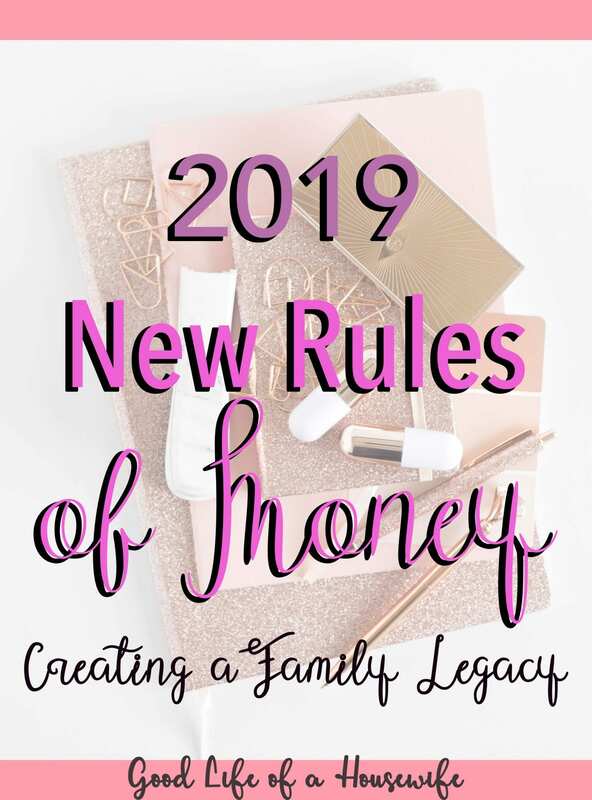 These “new” rules of money are to help create your family legacy. Stop digging a debt hole. Instead focus on being able to afford a nice retirement, that perfect wedding dress for your daughter, or family vacations to Disney. Don’t be intimidated by the idea of investing. Do lots of research and learn what it means to invest. Seek counsel of professionals and think of the longterm picture. Dave Ramsey’s Total Money Makeover – The book you need to give a kick in the pants. Plus it’s a super easy read full of peoples stories. I mean who doesn’t like to look at peoples finances? Play around to find out what your savings could be worth with this Investment Calculator.